Food safety emerged as a key health and safety issue following a series of food scandals in Europe and Taiwan which began in the 1990s. A proper risk assessment has been recognised as an essential element for food safety, and so, the EU acted to establish the European Food Safety Authority (EFSA) pursuant to Regulation 178/2002. This chapter examines EU food control jurisprudence and the EFSA and compares this with corresponding institution in Taiwan. It also offers some critical proposals for reforming Taiwan’s laws to enhance food safety and consumer welfare in general. 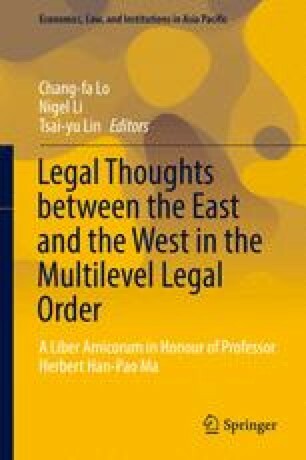 The author would like to thank the generous support under the Investigator Award by Academia Sinica, documents supplied by Mr. Simone Gabbi, Legal Adviser of the EFSA and also administrative assistance by Minfang Tsai , Sandra Niu and Eric Chan. Any remaining errors are my own.